Join us for a celebration of the end of the spring 2019 semester. Ultimate way to celebrate completing the 1st year at Coppin. Gain a deeper understanding of Autism. Through this workshop, students will begin the process of forming goals and objectives aimed at achieving college success. Budgeting, professional attire, and essential interview skills. This event will provide students with the opportunity to discover some of the sacrifices that may happen in the pursuit of their dreams. Exploring possible ways to study effectively. - Everyone starts with the same amount of hours – so why do some people seem to get so much more done? - Come learn how to maximize your time. During the week for final exams, our tutors will be available to help you prepare. See the tutoring schedule for details. The Our House Fall 2018 Bowling Championships at AMF Pikesville Lanes. The bus will leave Talon Center at 5:30pm. We're excited to attend the Coppin Repertory Theatre production of A Soldier’s Play! Make sure you ace those midterms by using this time to review with your Student Mentors. Sometimes the best way to review is to compete. Fun and games in preparing for the final exams. RSVP: By Monday April 30th You will receive your ticket as you board the bus. You will receive your ticket as you board the bus. M&T has a lot to offer. As the longest running sponsor for the Our House Program, they have invited us to to the Baltimore, MD Headquarters to spend some time with us. Super excited. During the week of midterm exams, our tutors will be available to help you prepare. See the tutoring schedule for details. What does it mean to be a woman? How do professional women engage with the world successfully? What roles does society want women to play? Womanhood is a complex and beautiful identity, and this talk will help you form your own vision as a woman of Coppin. 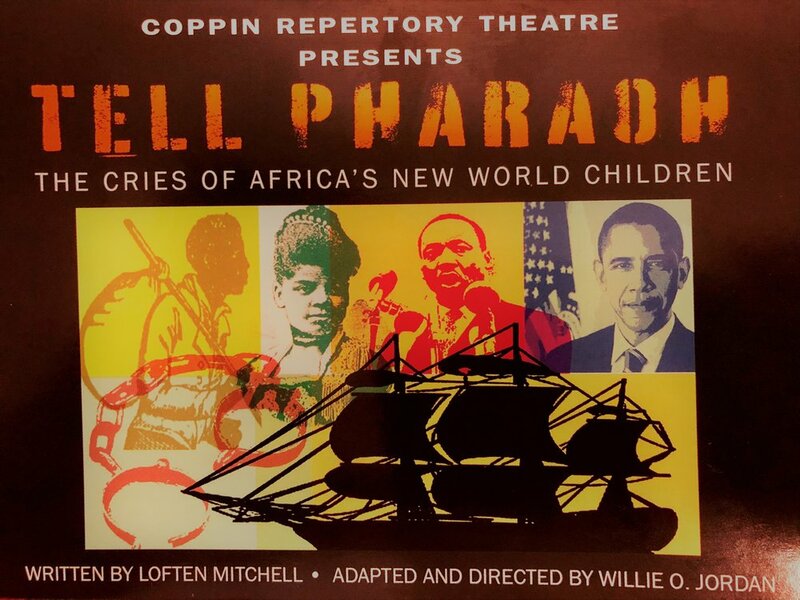 We're excited to attend the Coppin Repertory Theatre production of Tell Pharaoh! 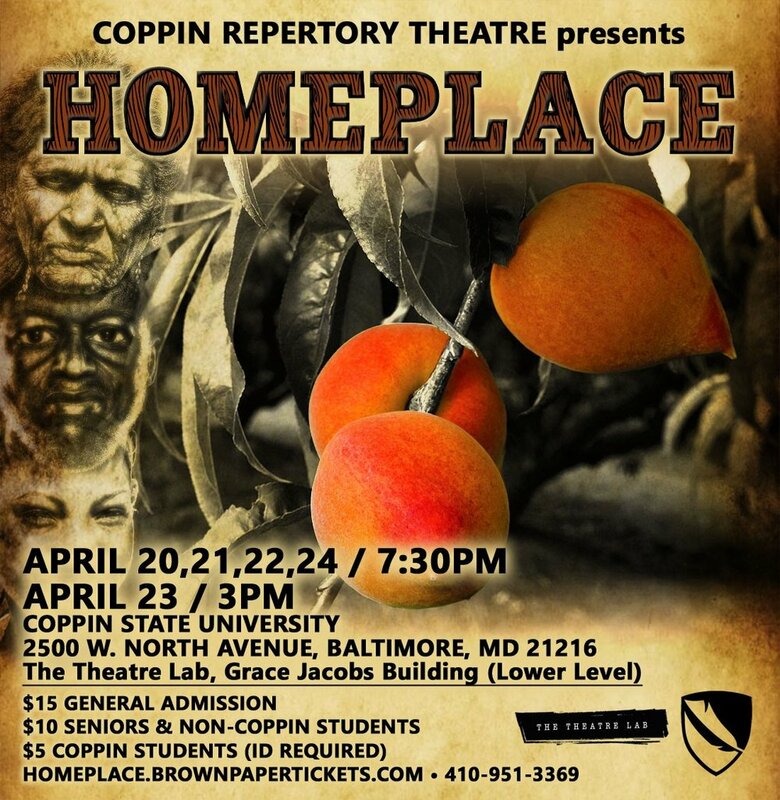 We're excited to attend the Coppin Repertory Theatre production of Homeplace! Join Grace International Church for a morning of worship as the congregation celebrates Easter Sunday. We'll work on resume-building, making sure you know how to represent yourself on paper in the best way possible. Baltimore Collegetown will tell you everything you need to know to get hooked up with a quality internship. Internships are great ways to develop your skills, meet new people in your field, and they really make a resume pop. Come to this event to make sure you have the best summer ever. Concerned Black Men National’s CBM CARES® will spend part of their Careers Week touring Coppin State University. Our House students will provide tours to young men, introducing them to campus life.